In recent years government initiatives such as Sure Start, Extended Schools and Every Child Matters have been significant in the promotion of an agenda to create collaborative working environments and introduce multi-agency practice into a range of child-centred settings. Developing and Evaluating Multi-Agency Partnerships provides advice and guidance for managers and leaders responsible for overseeing multi-agency working in these settings, providing a self-evaluation framework to help improve the quality and effectiveness of multi-agency relationships. 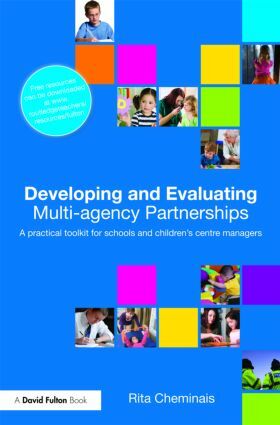 The self-evaluation framework provided in this book meets the requirements of the Children’s Workforce standards and OFSTED requirements for effective partnerships. A highly practical handbook, this book is essential reading for all those who are implementing or improving a multi-agency partnership in their setting.